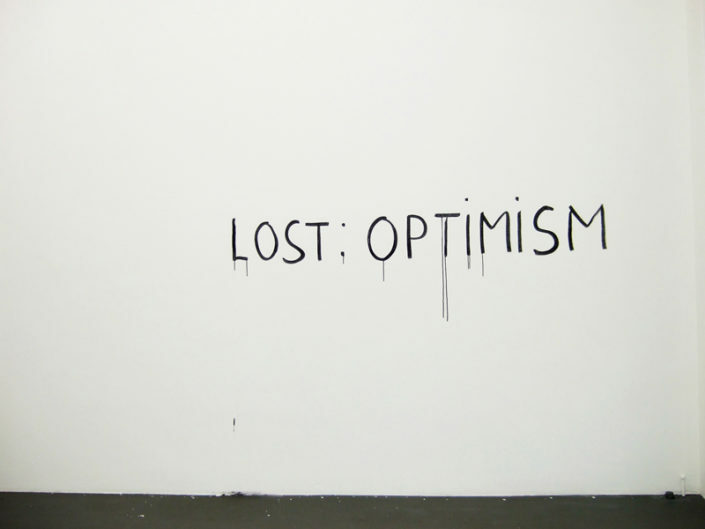 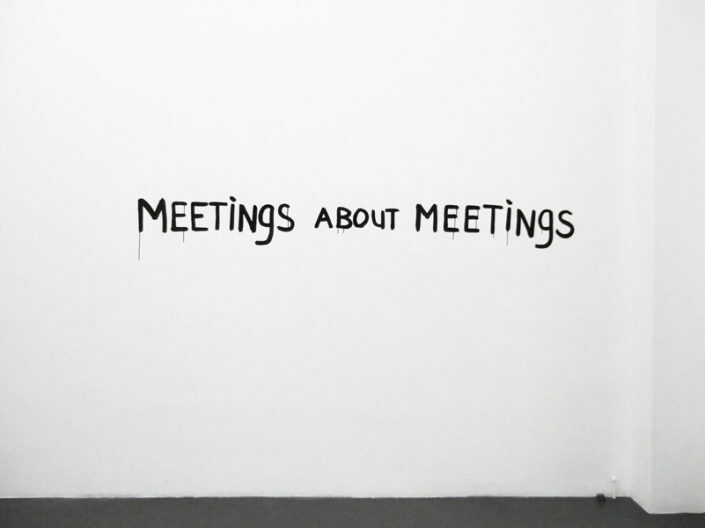 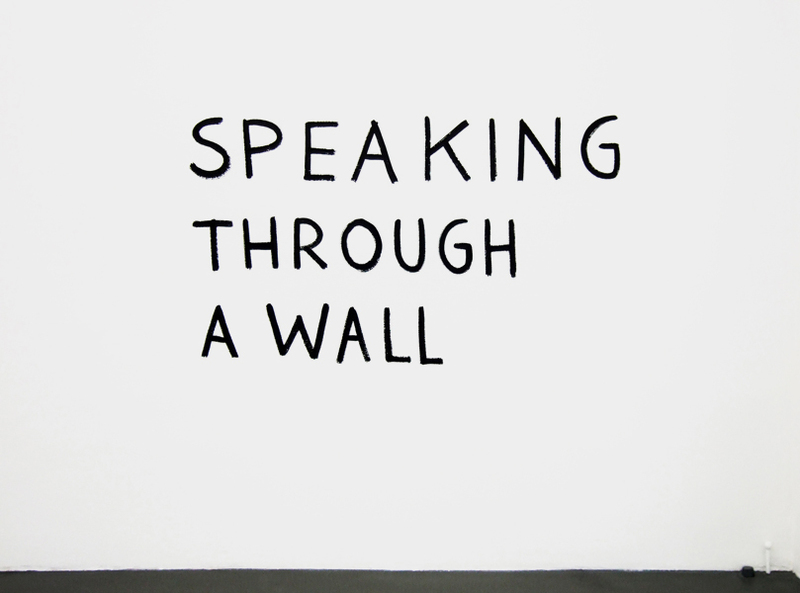 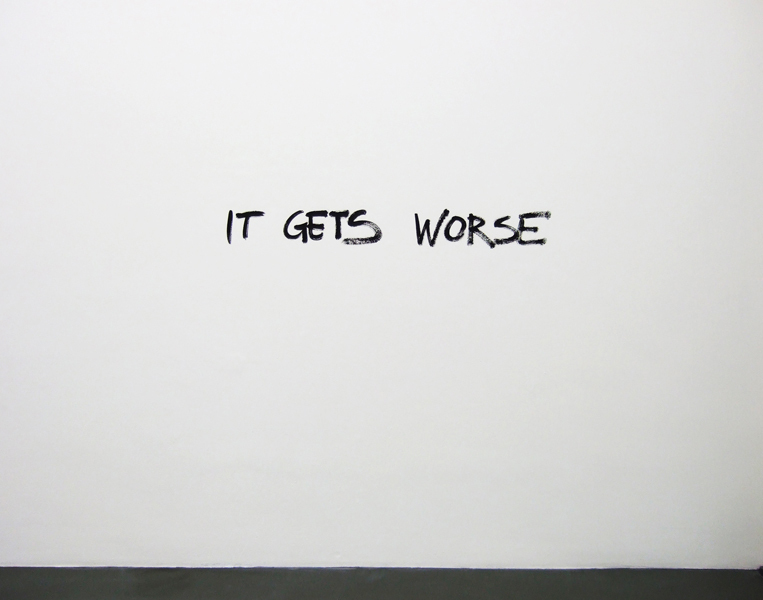 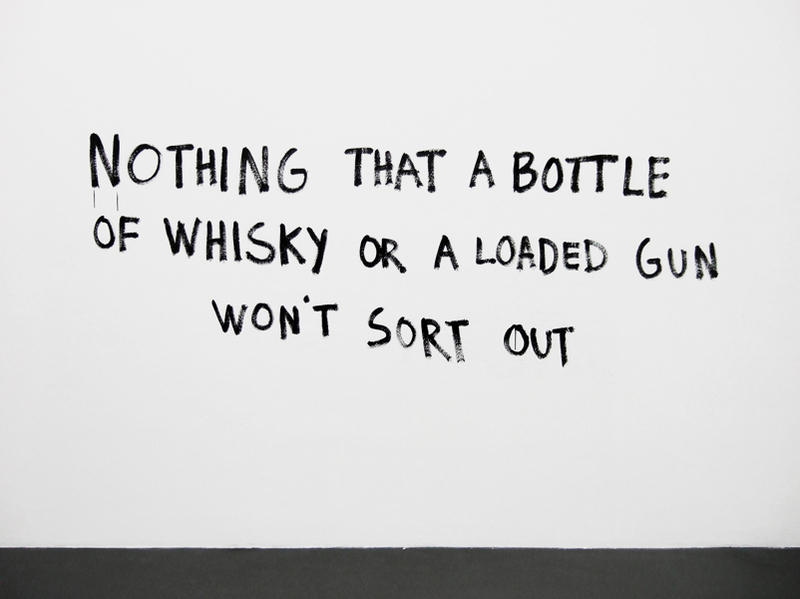 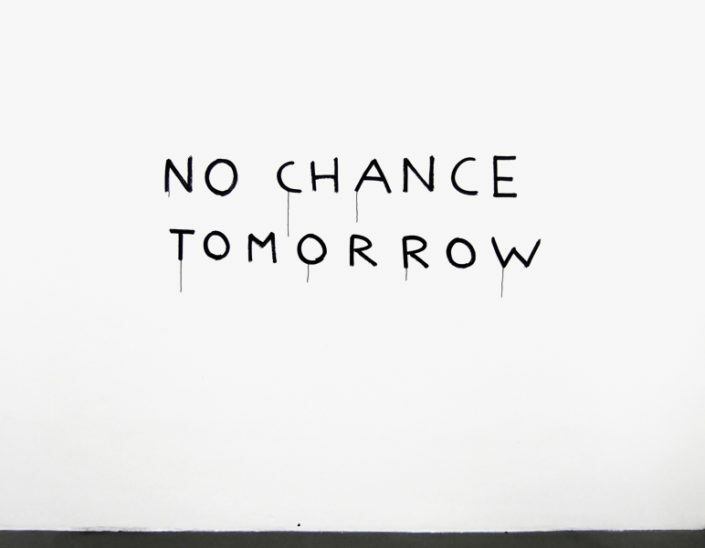 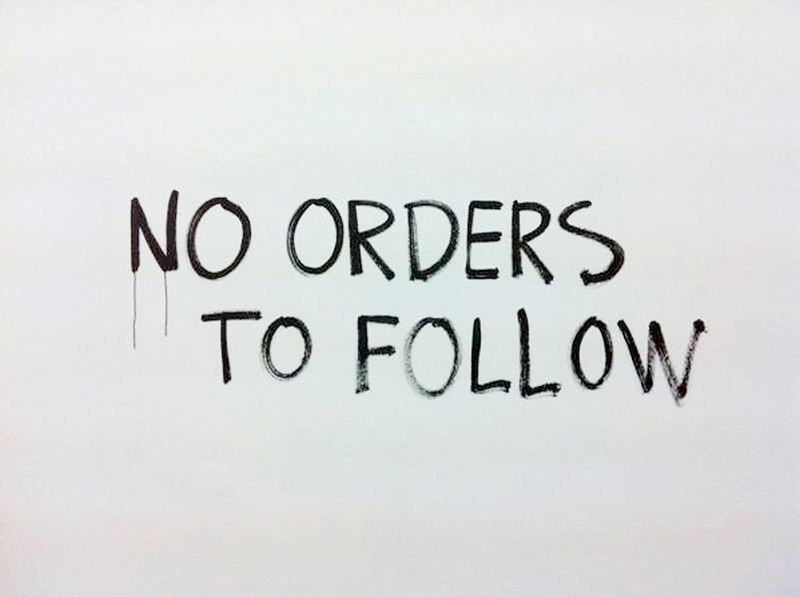 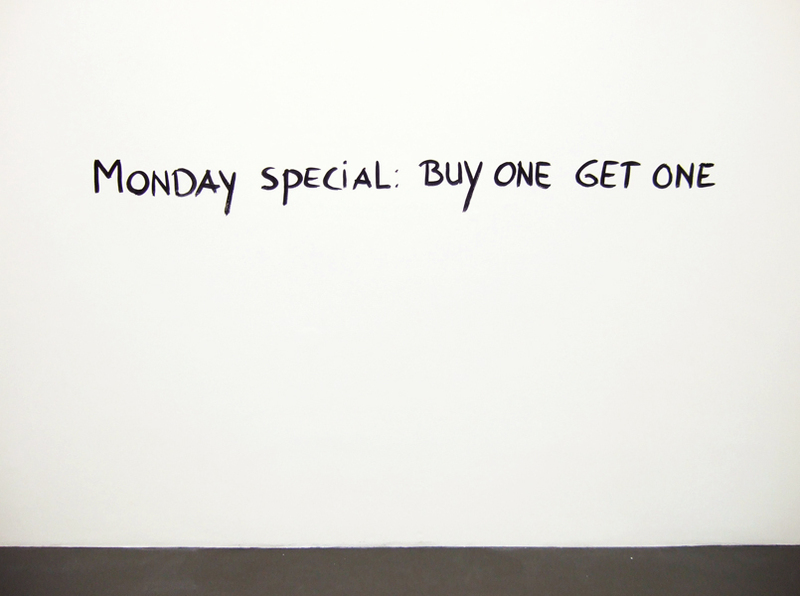 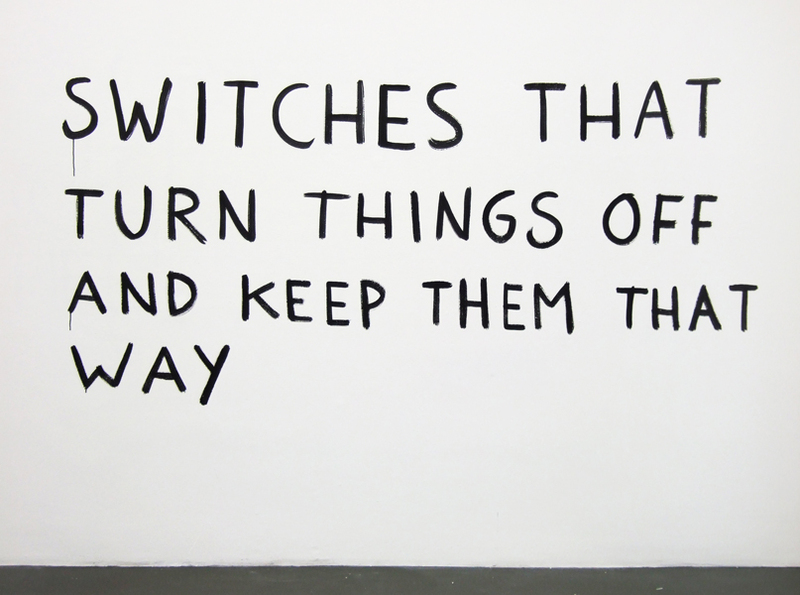 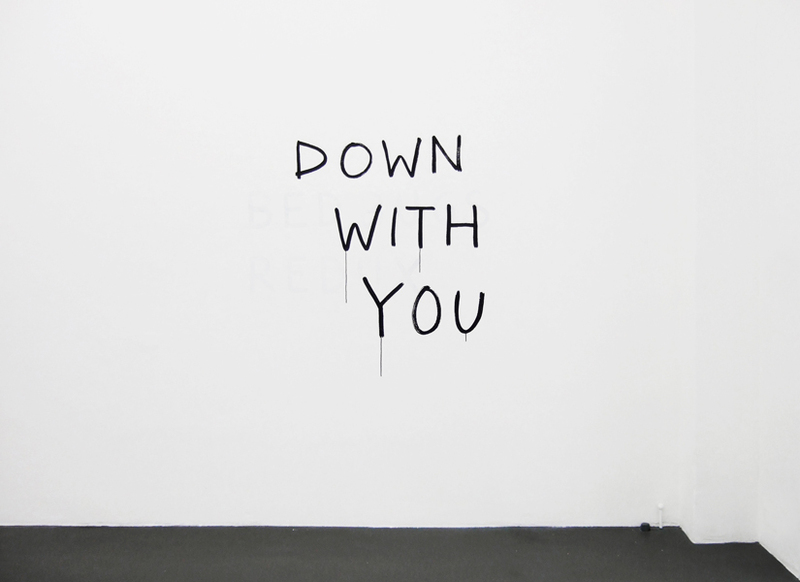 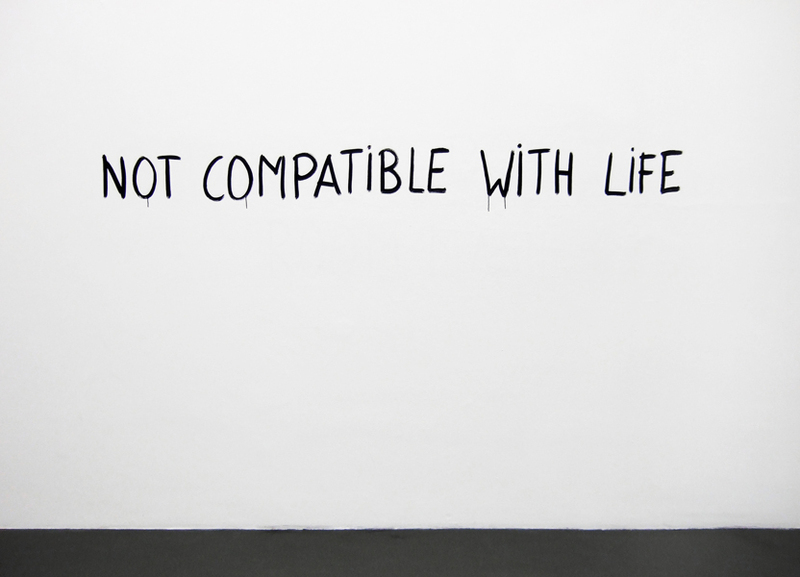 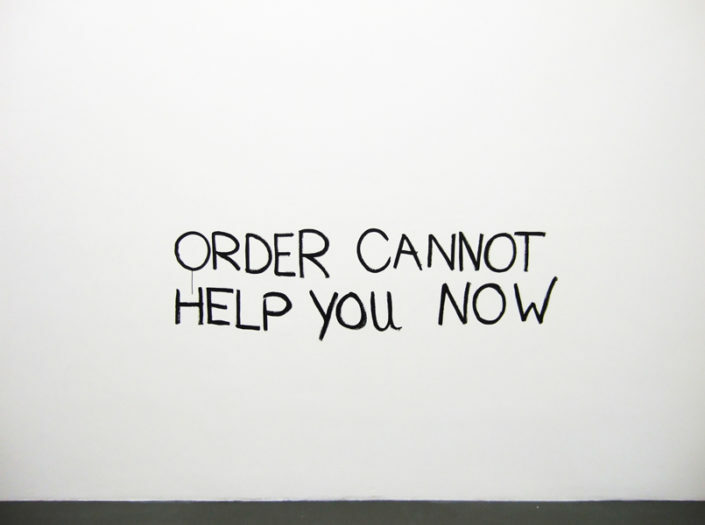 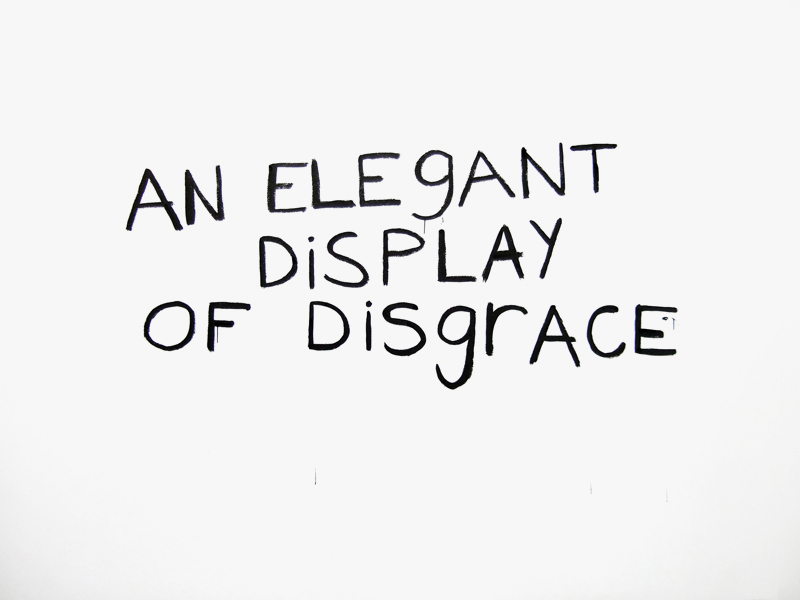 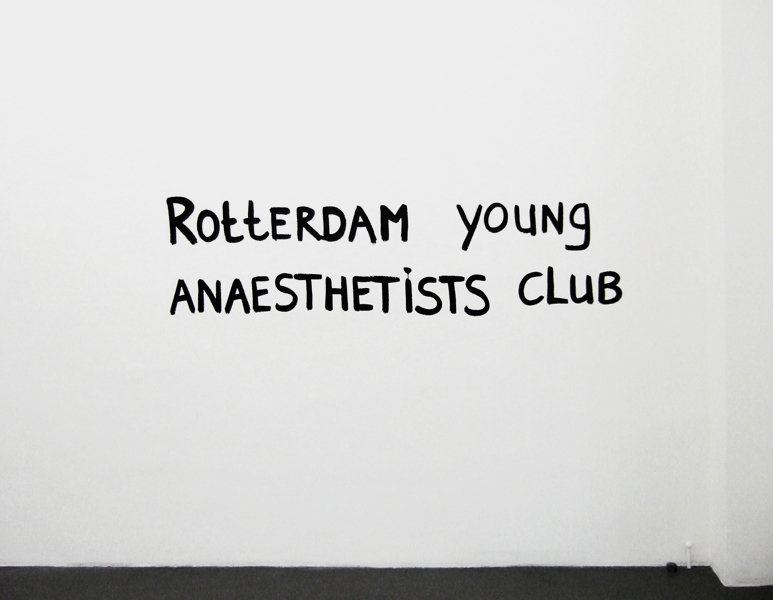 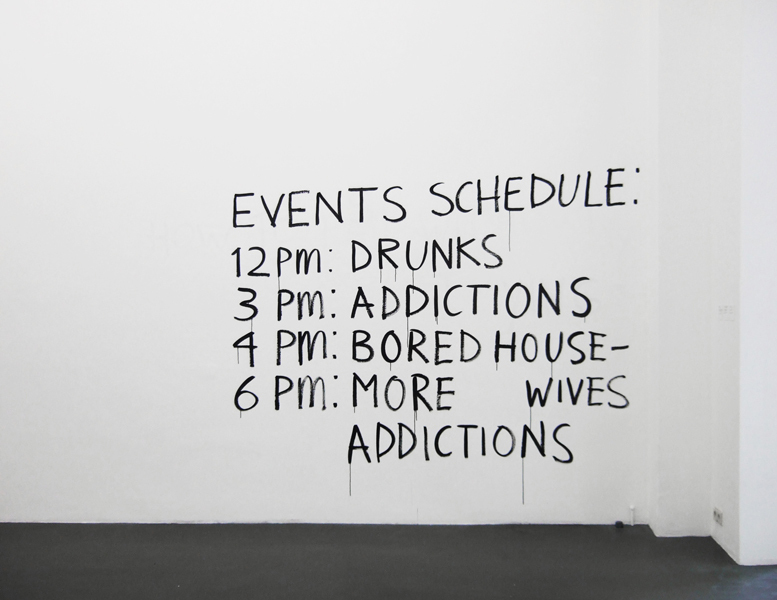 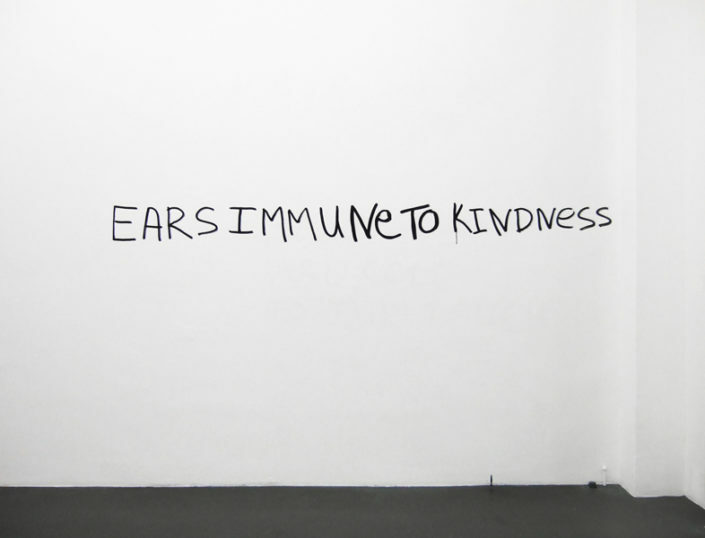 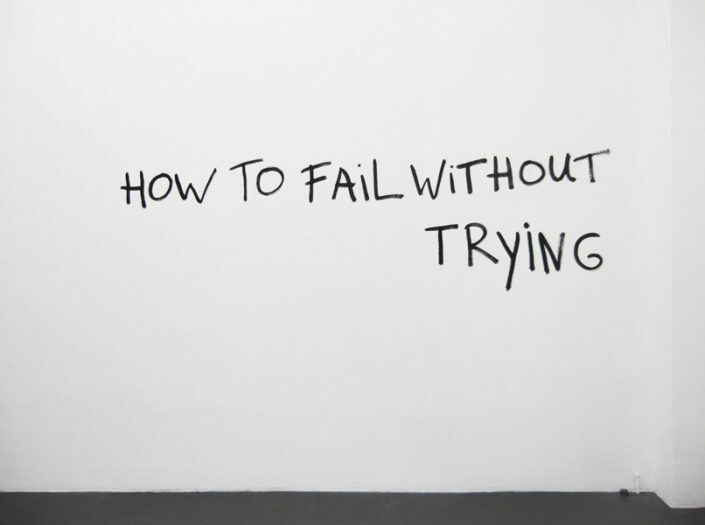 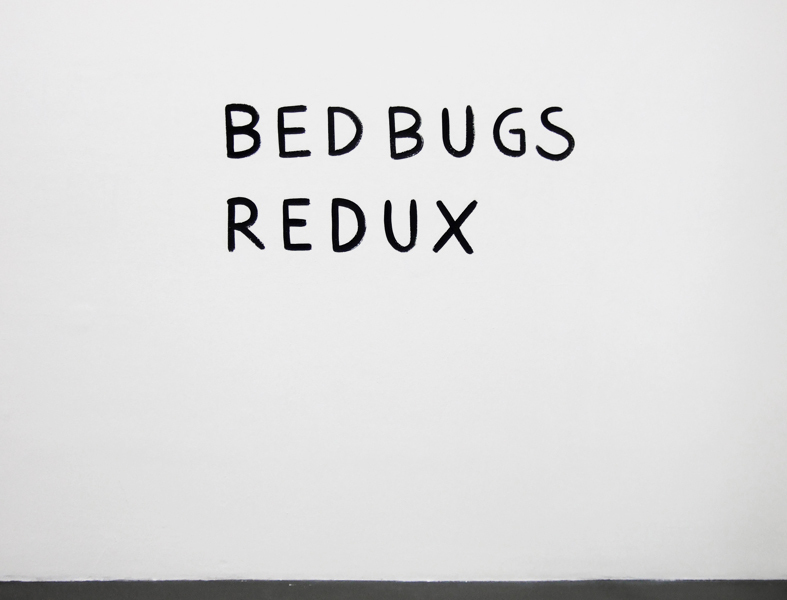 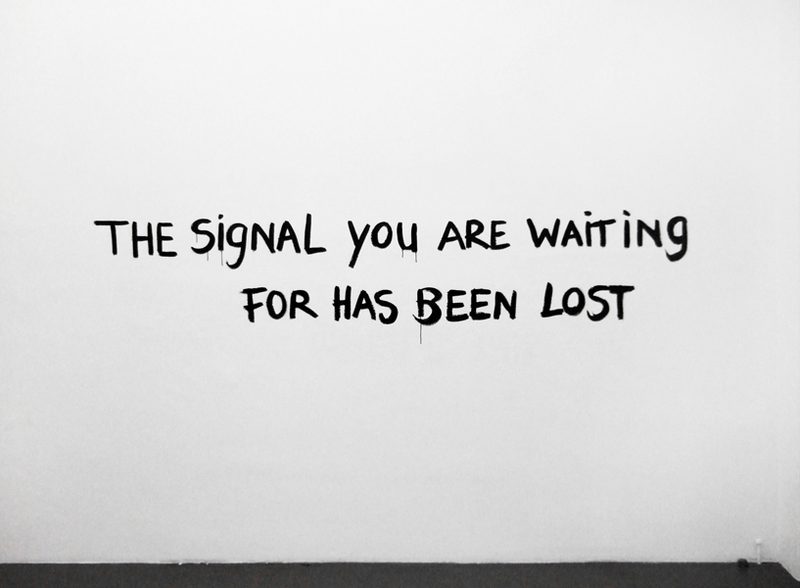 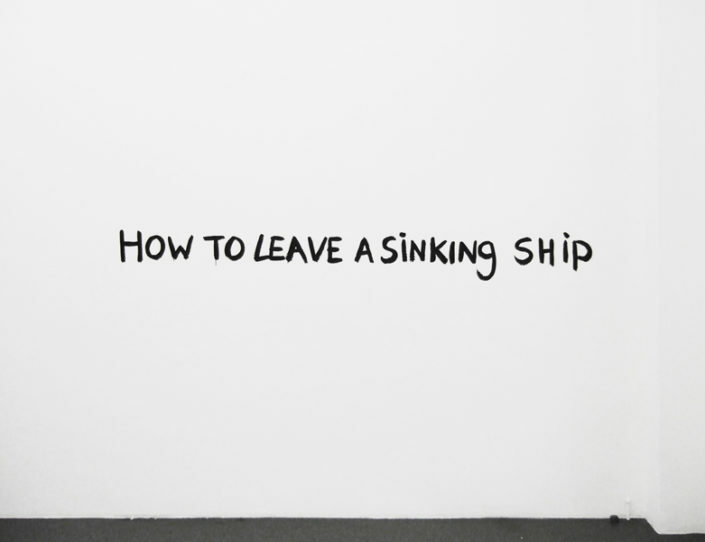 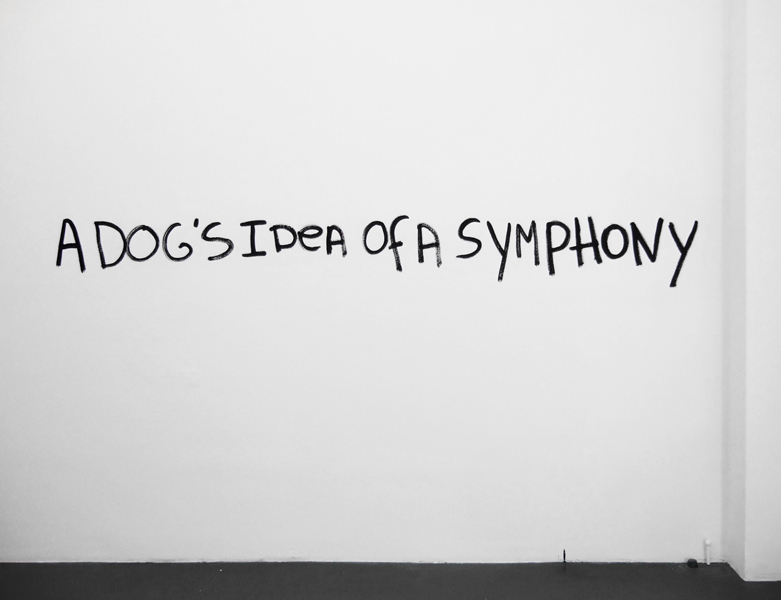 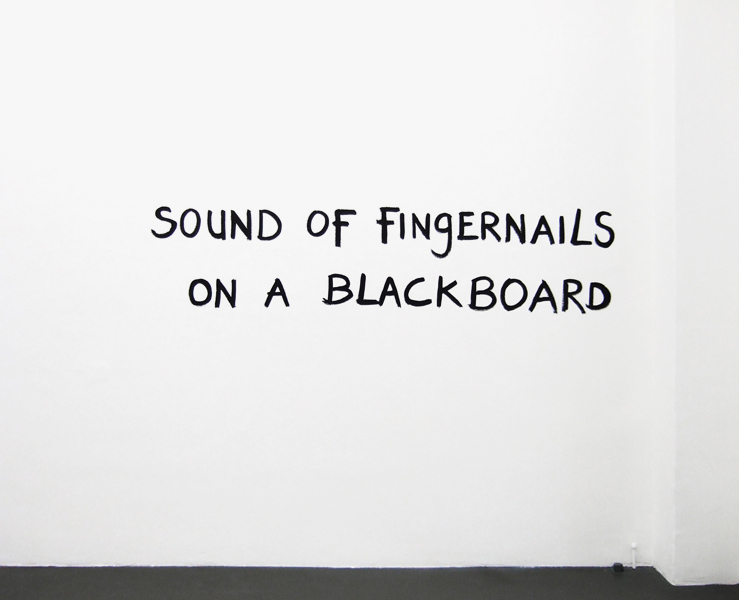 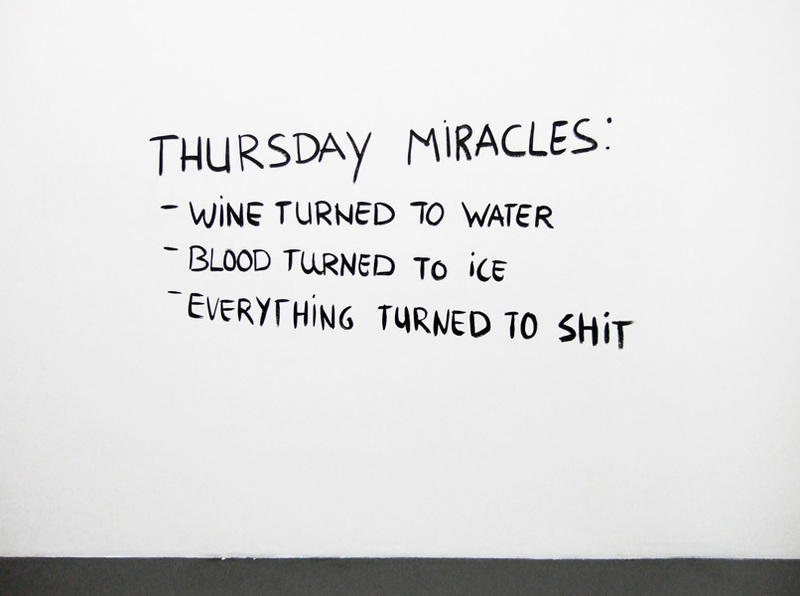 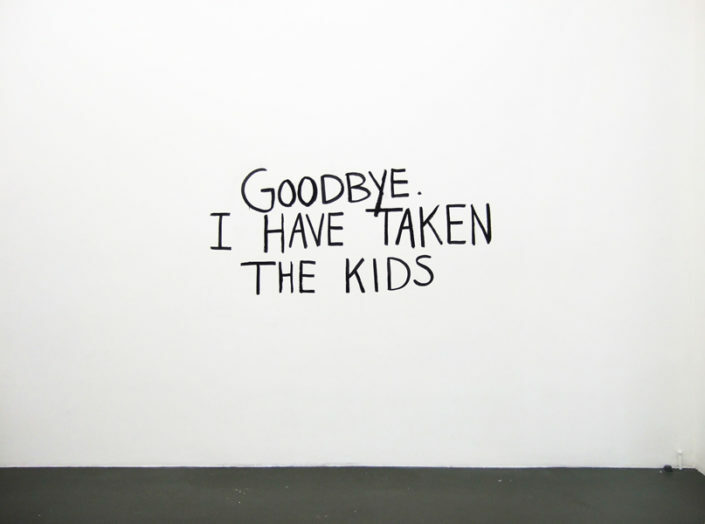 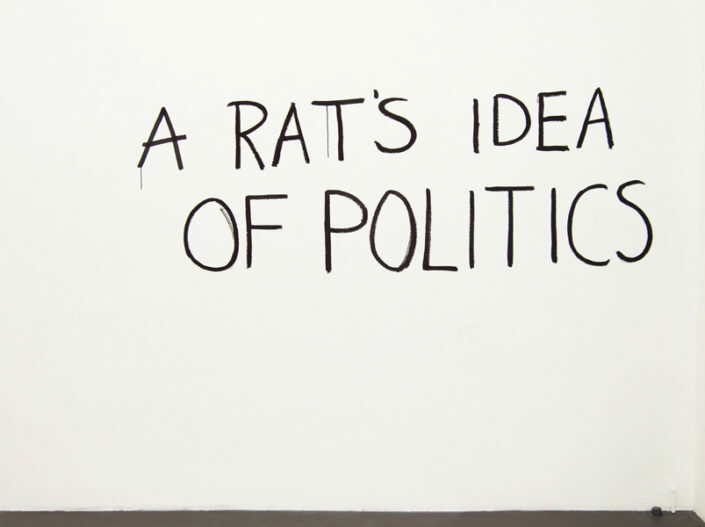 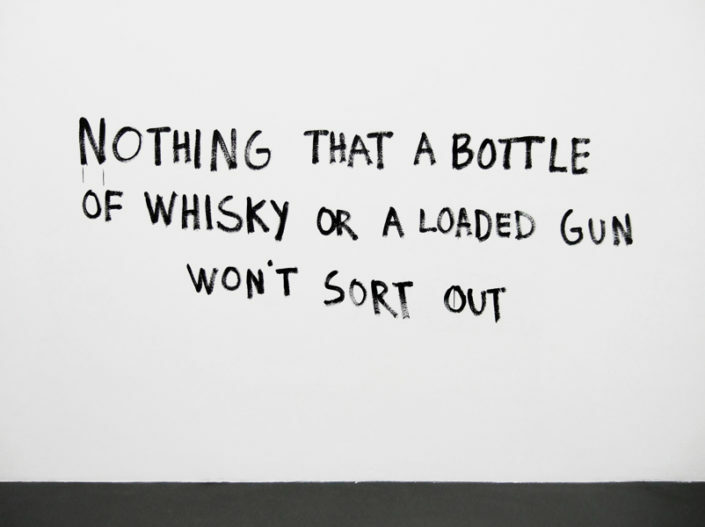 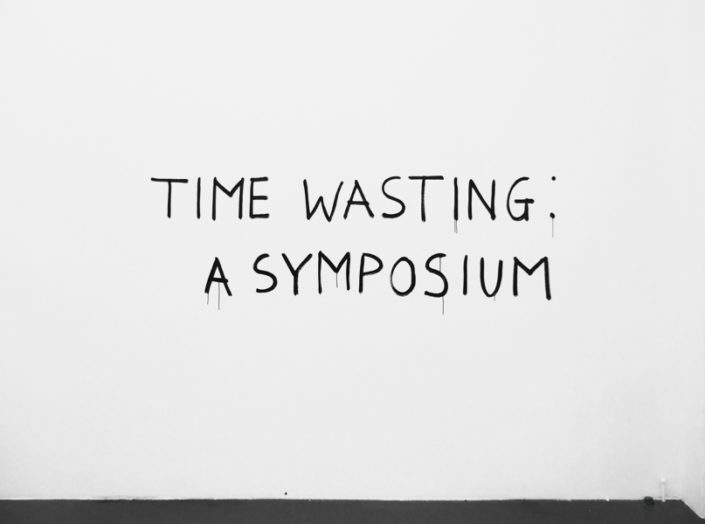 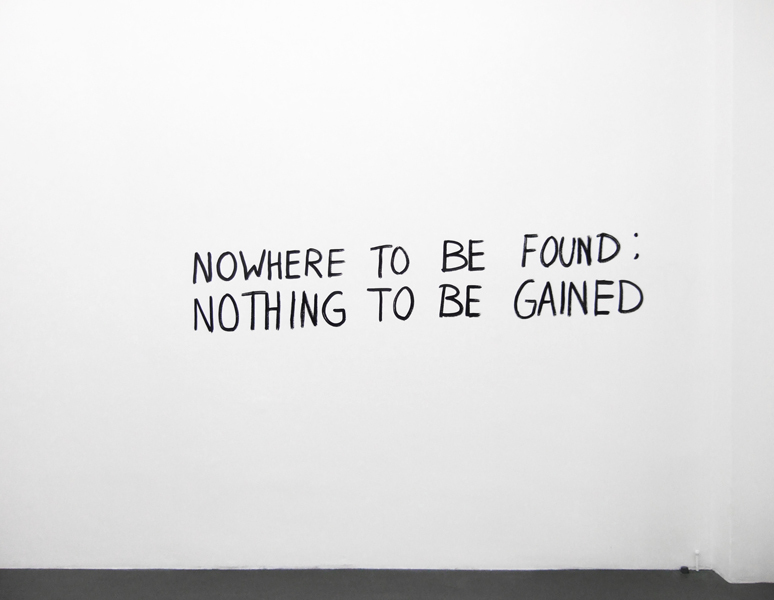 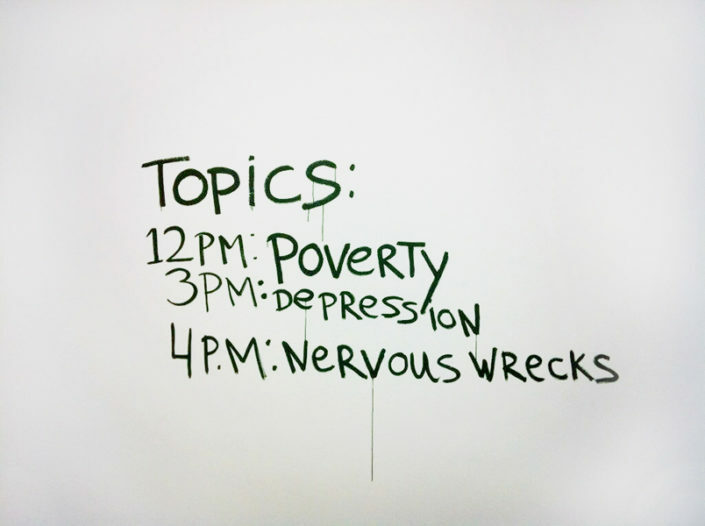 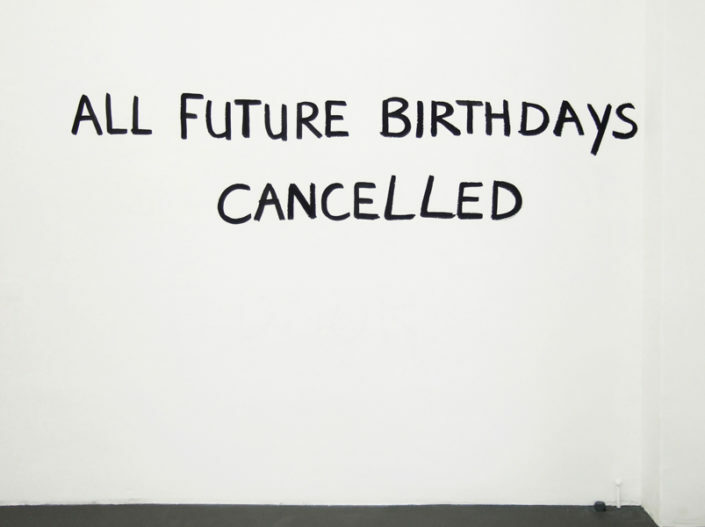 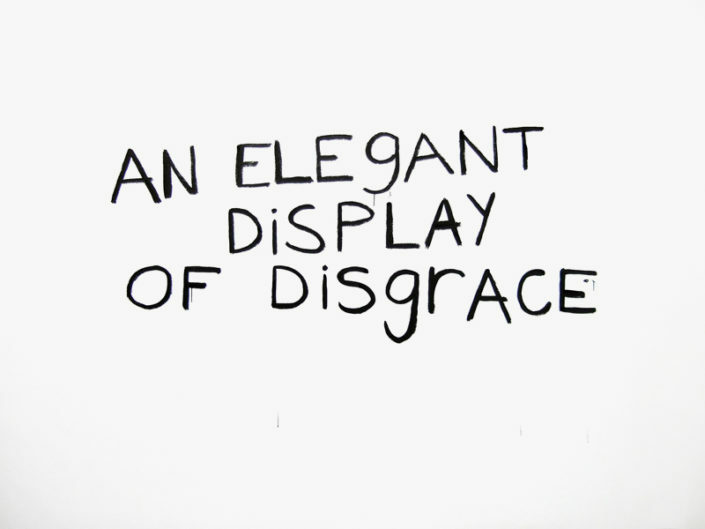 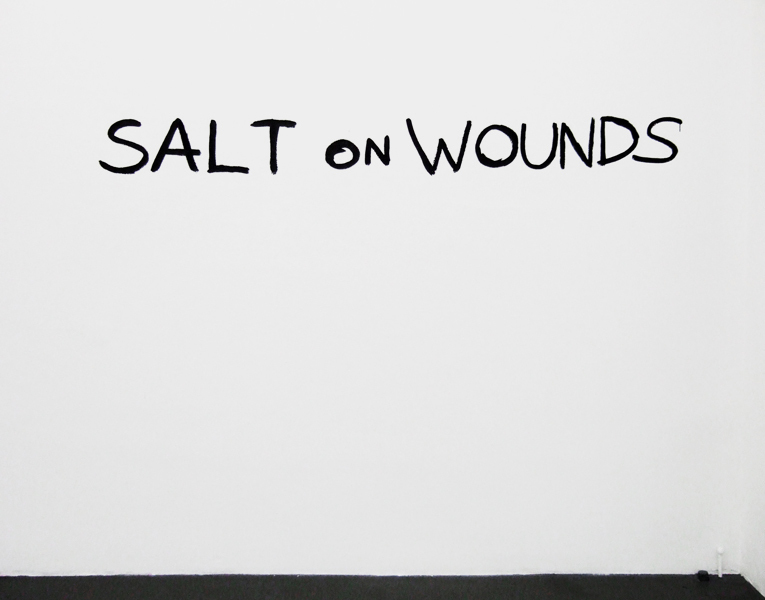 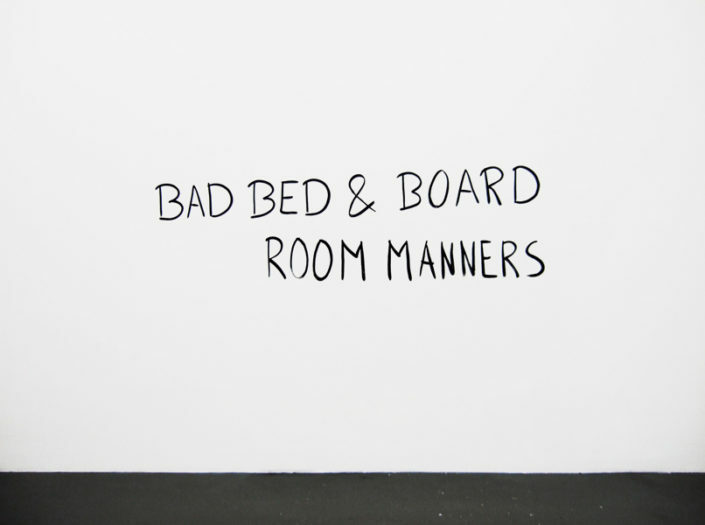 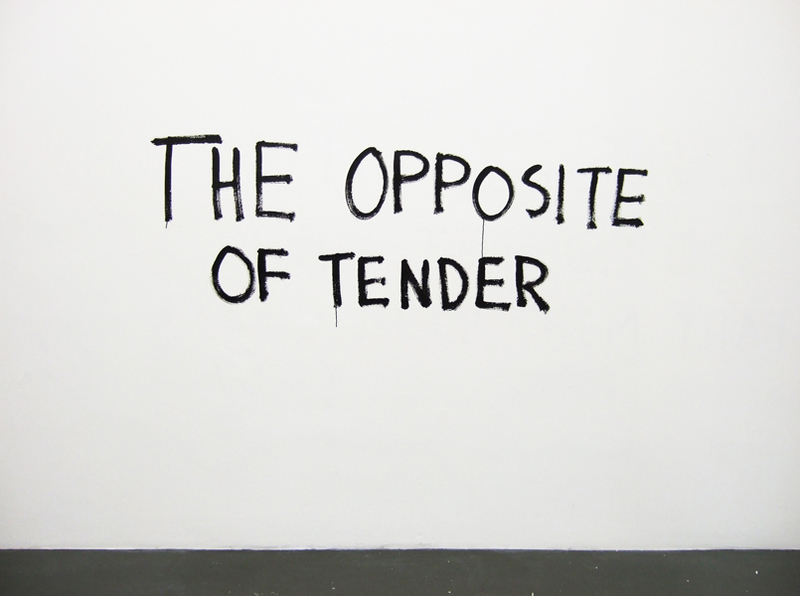 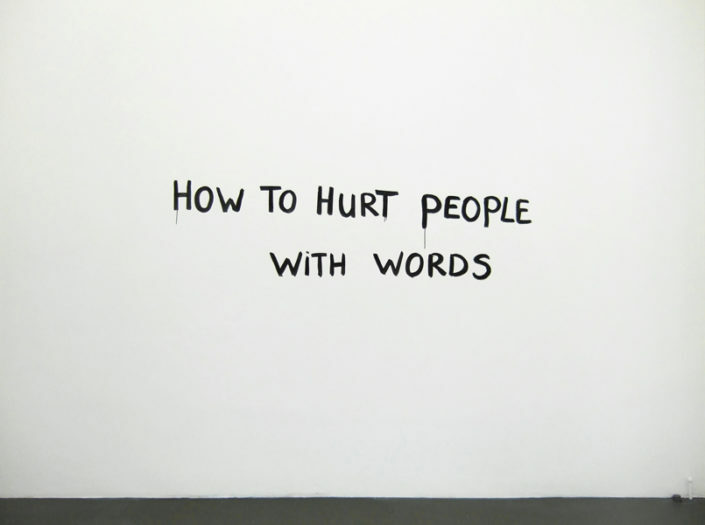 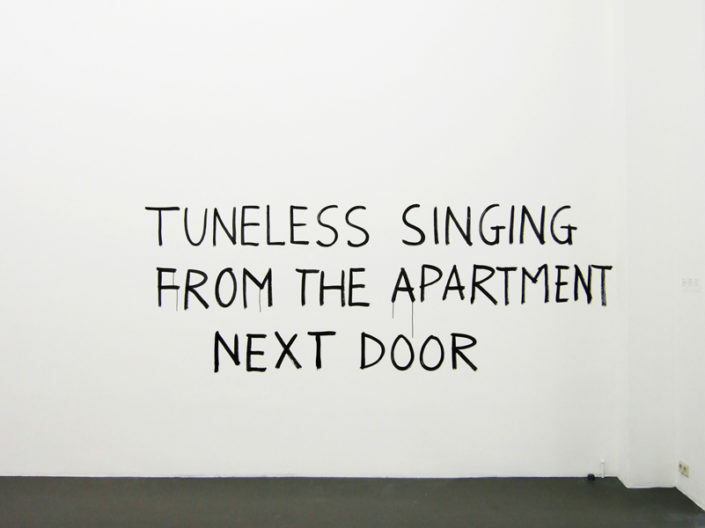 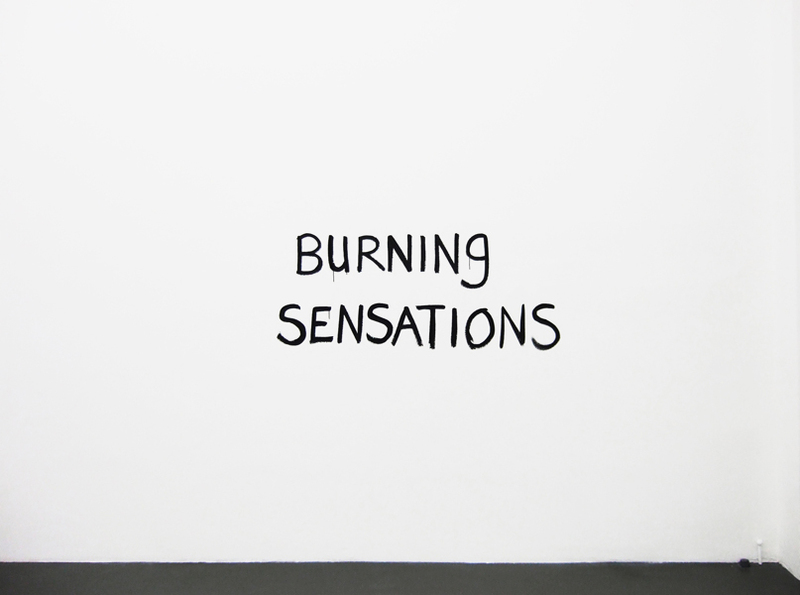 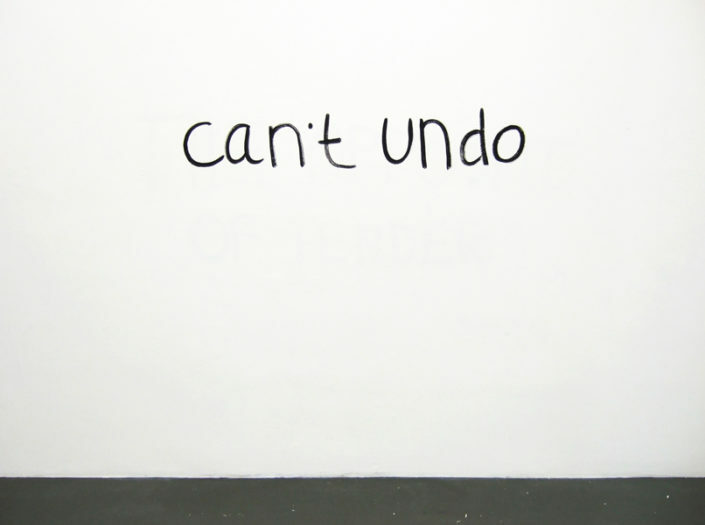 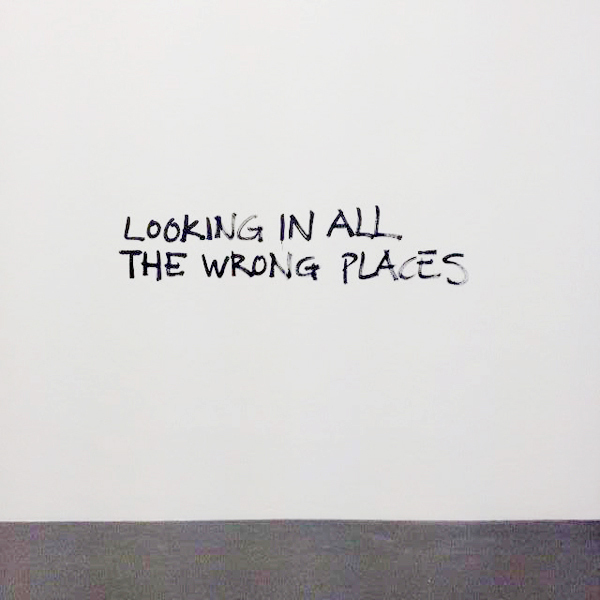 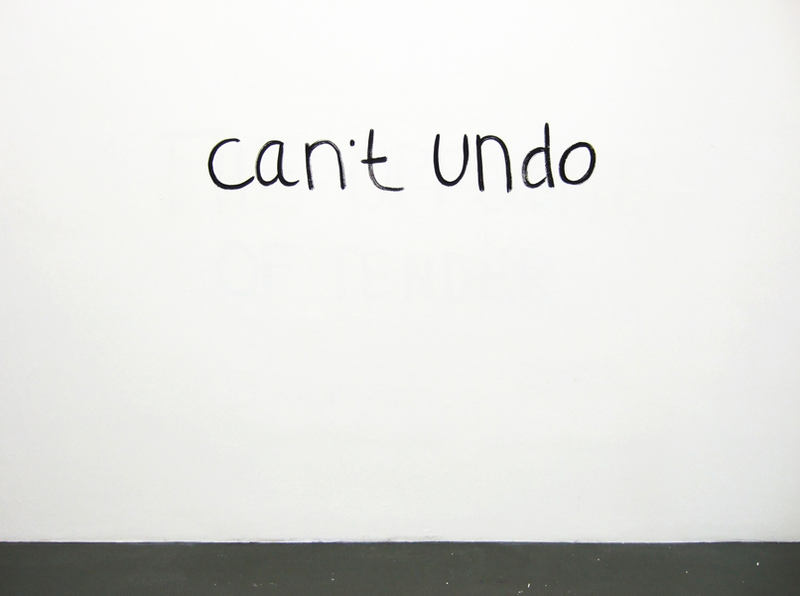 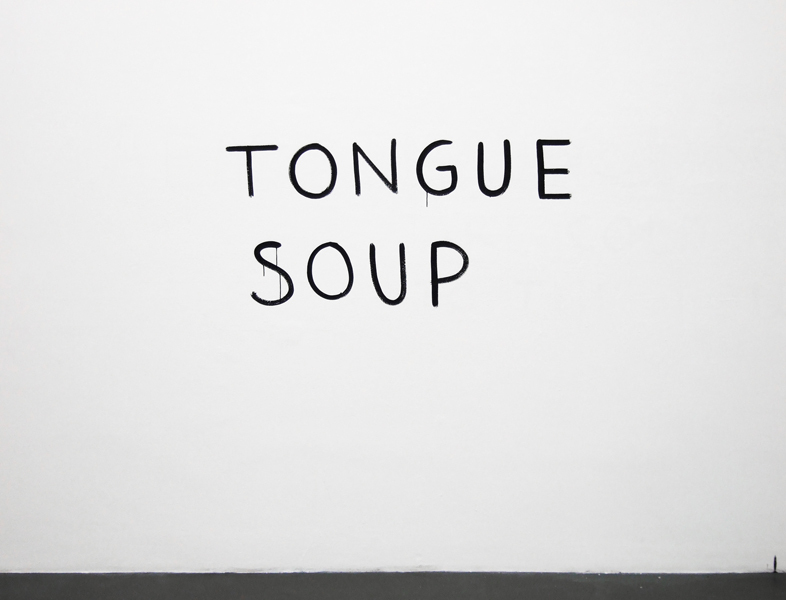 Rotten Days is a performative work based around a selection of provocative, often ill-humoured texts by artists Vlatka Horvat and Tim Etchells, painted daily on a wall of the exhibition space. 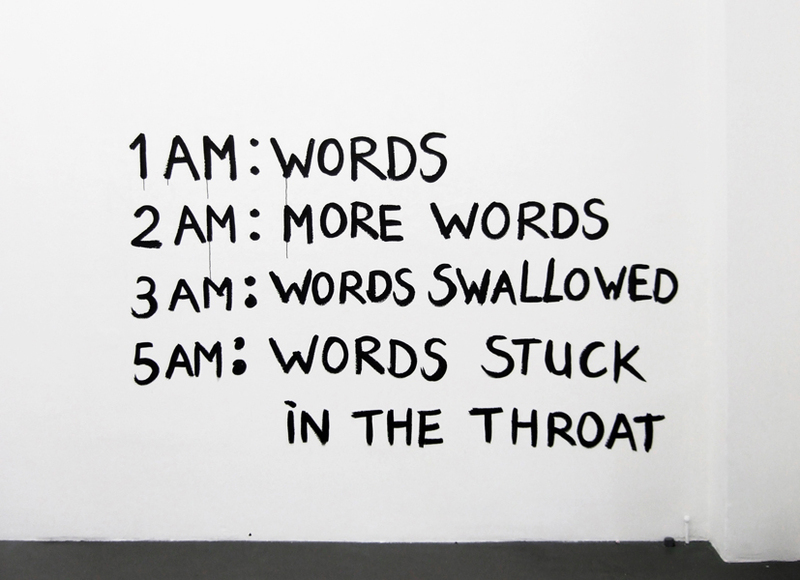 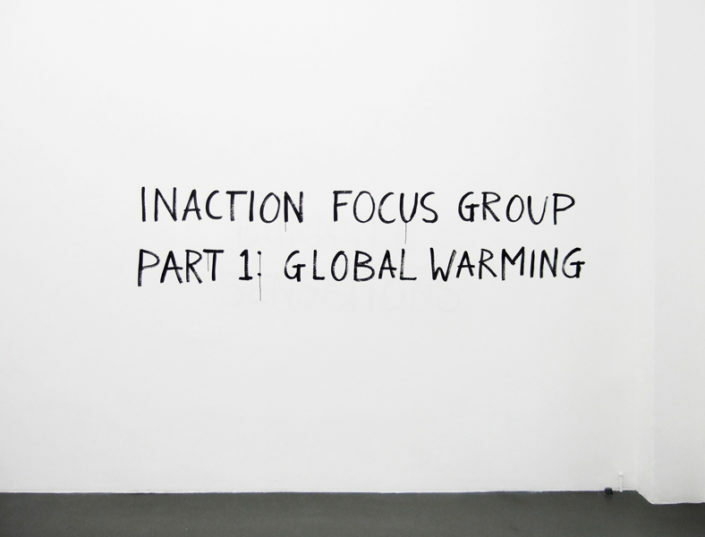 Each text is displayed for only one day before being painted over and replaced with a new one – the change orchestrated through a simple daily action/performance carried out by a member of staff of the institution presenting the work, according to the artists’ schedule. 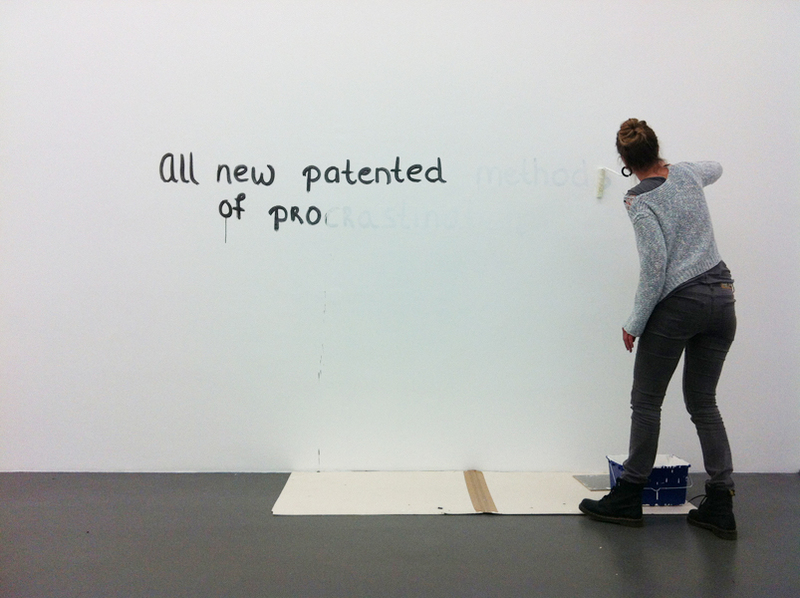 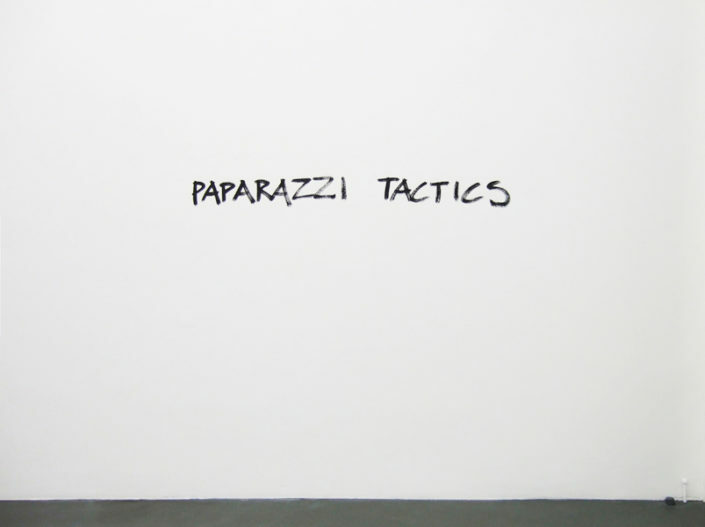 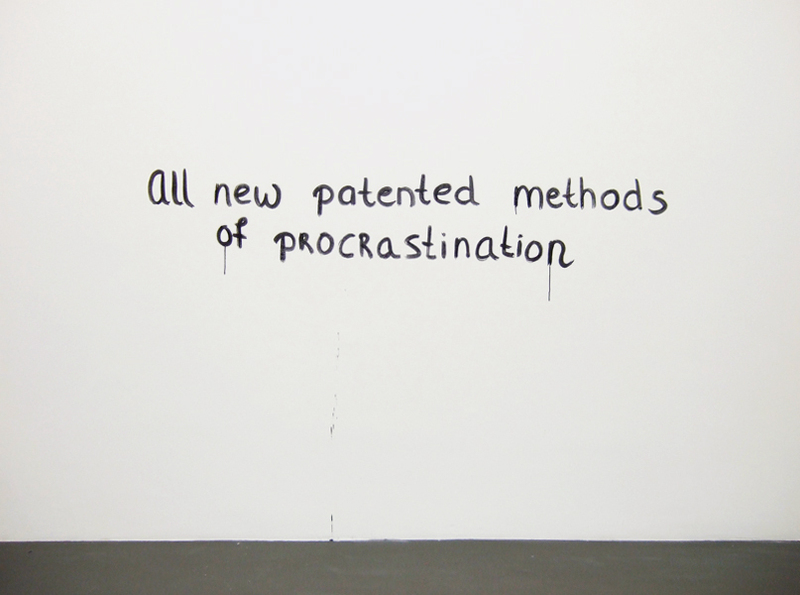 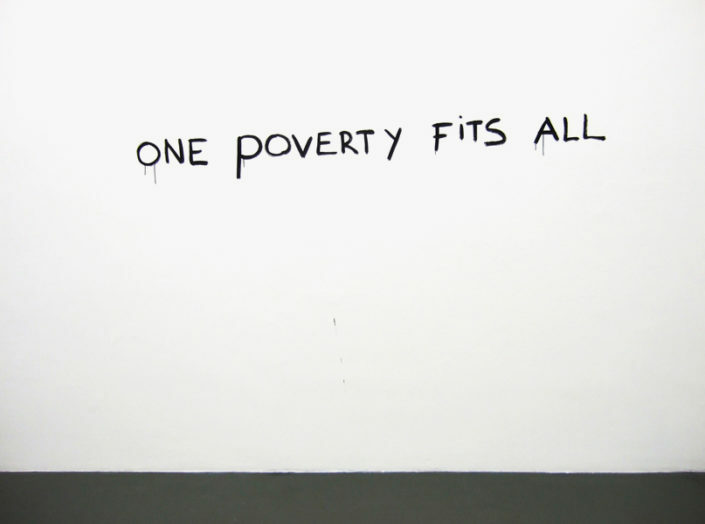 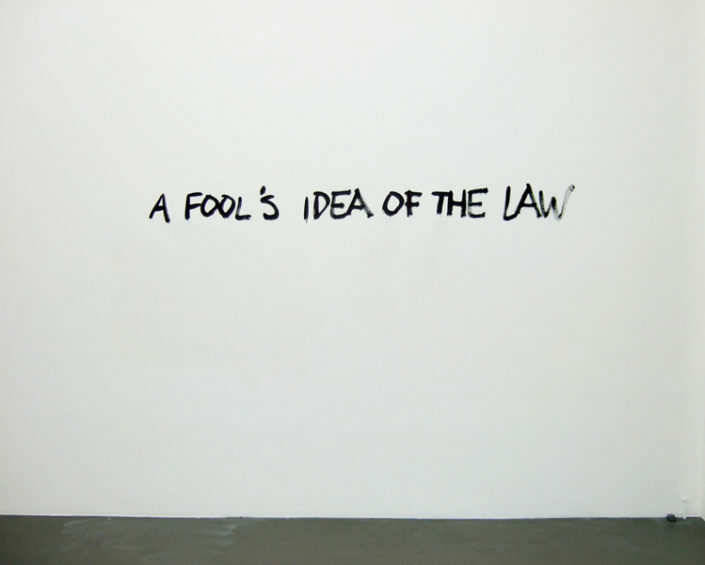 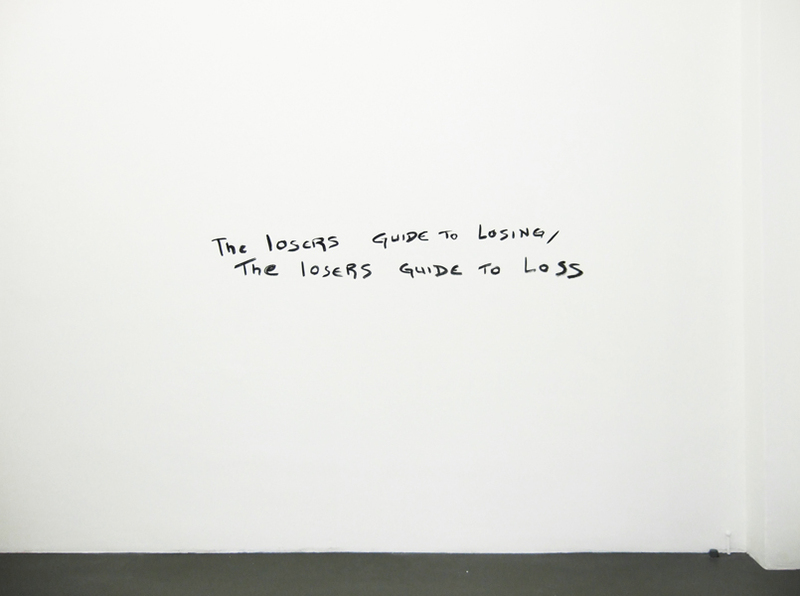 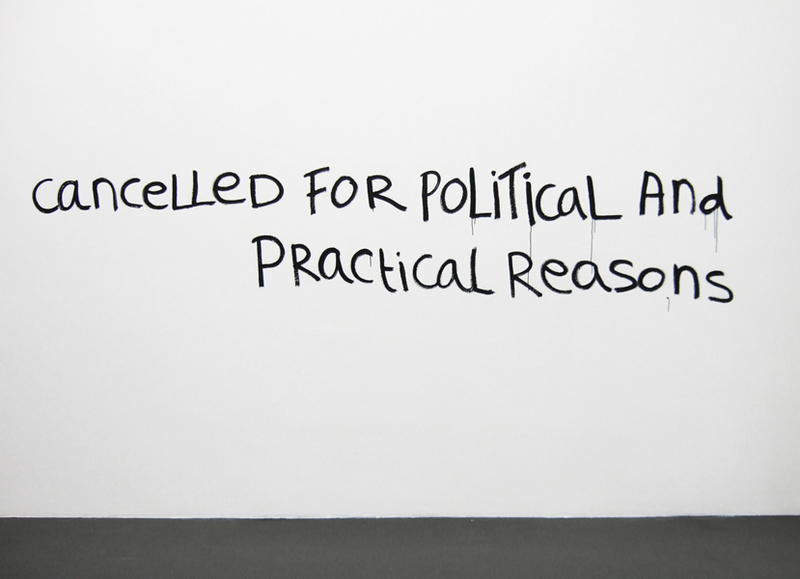 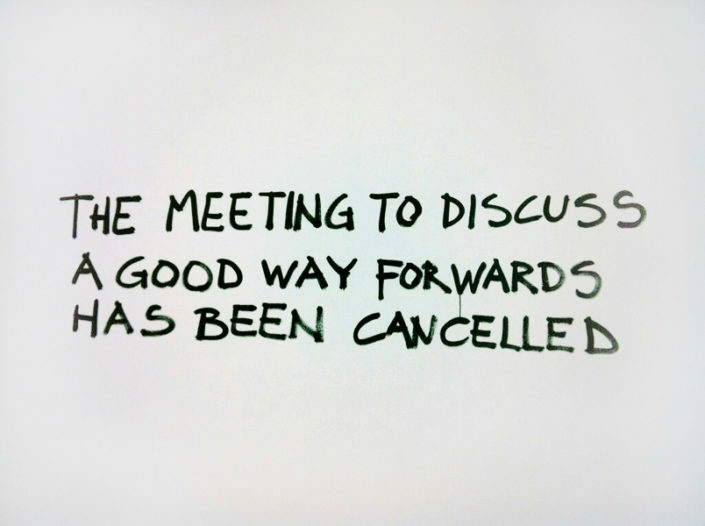 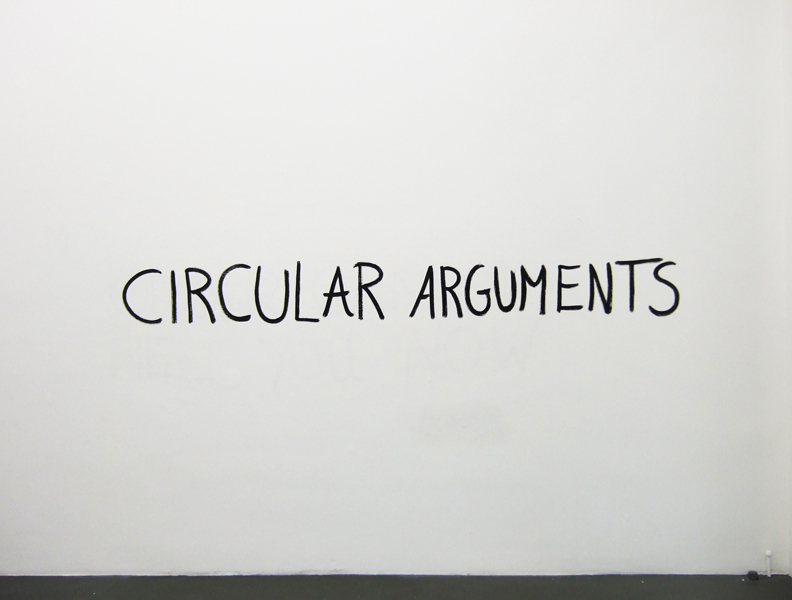 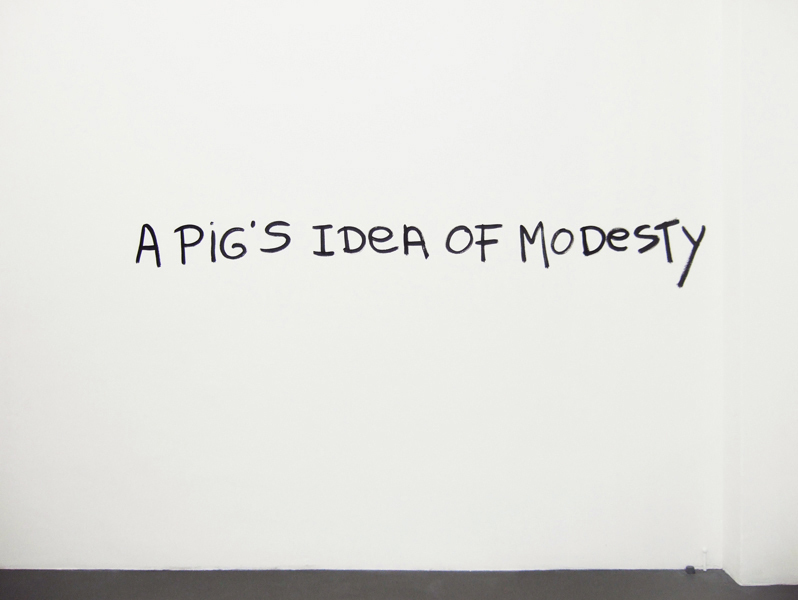 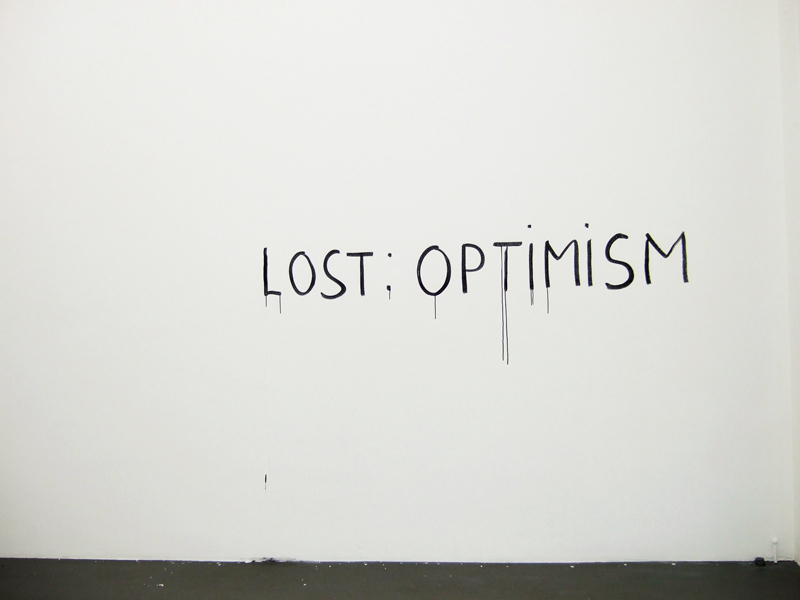 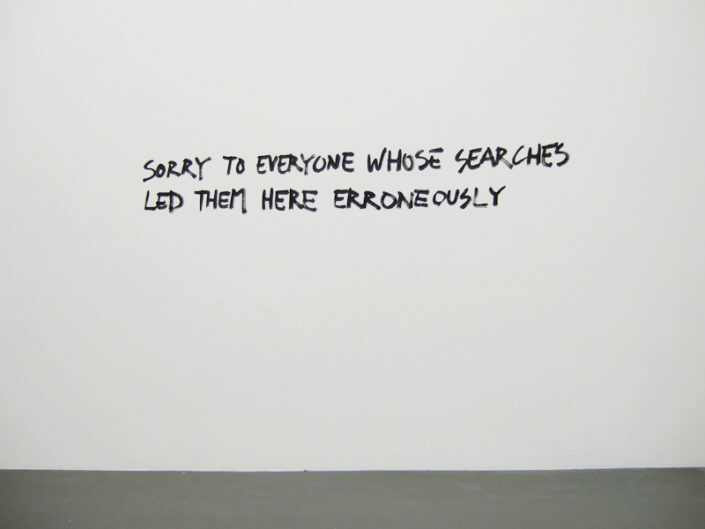 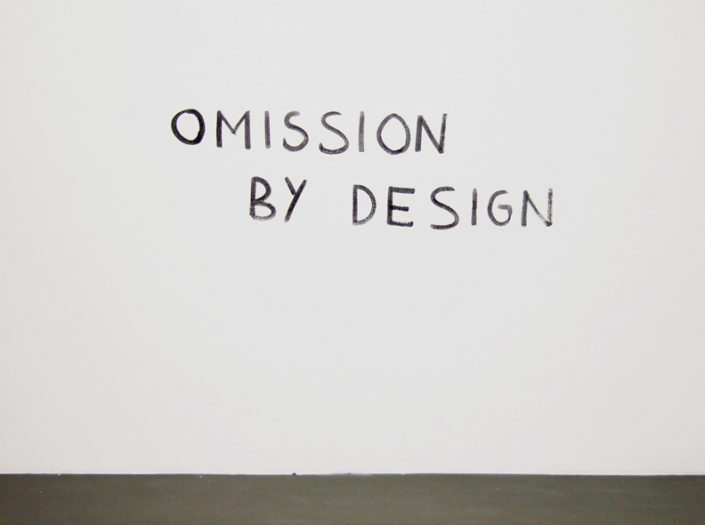 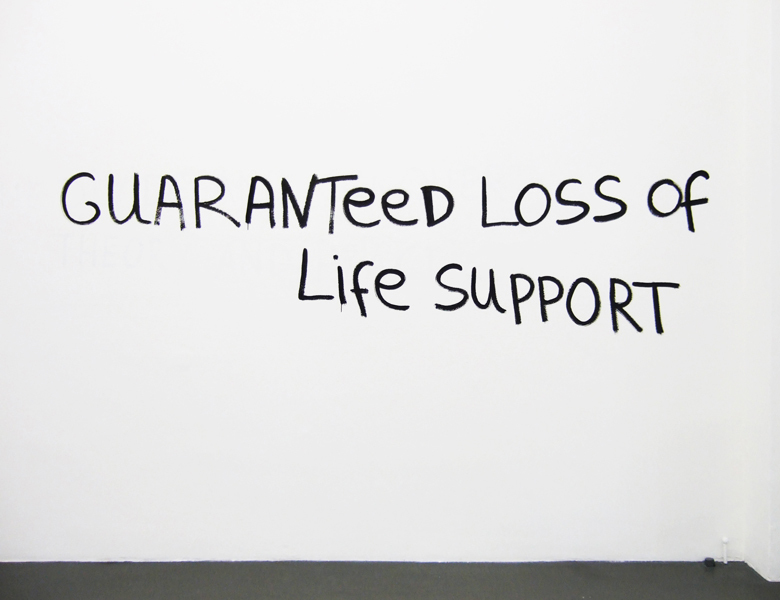 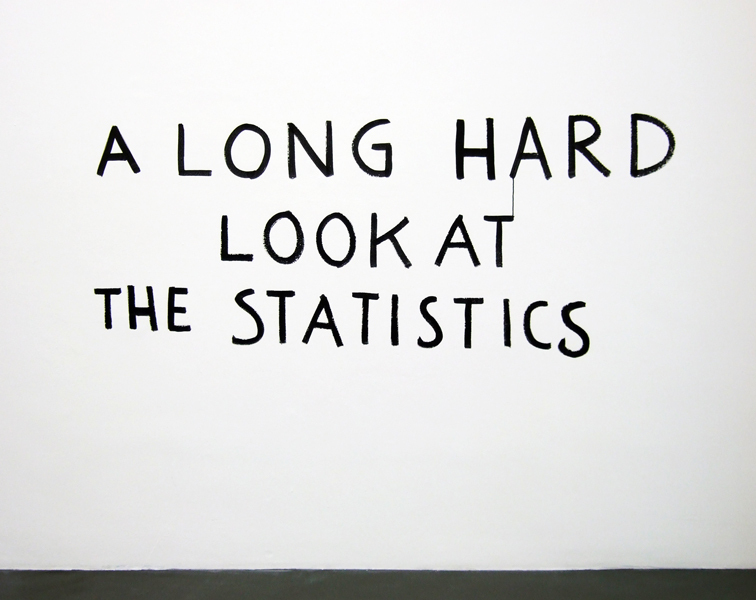 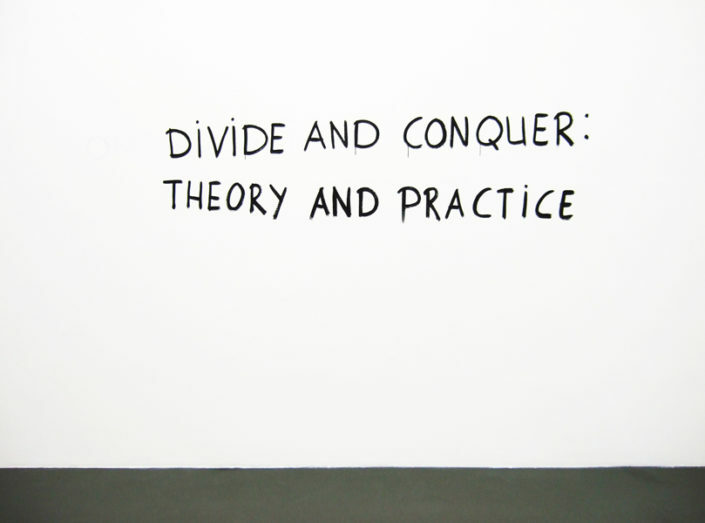 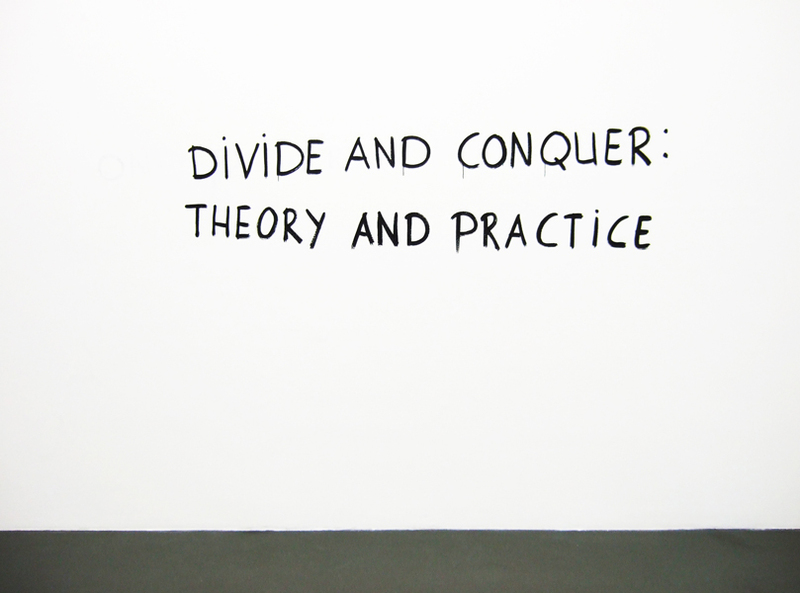 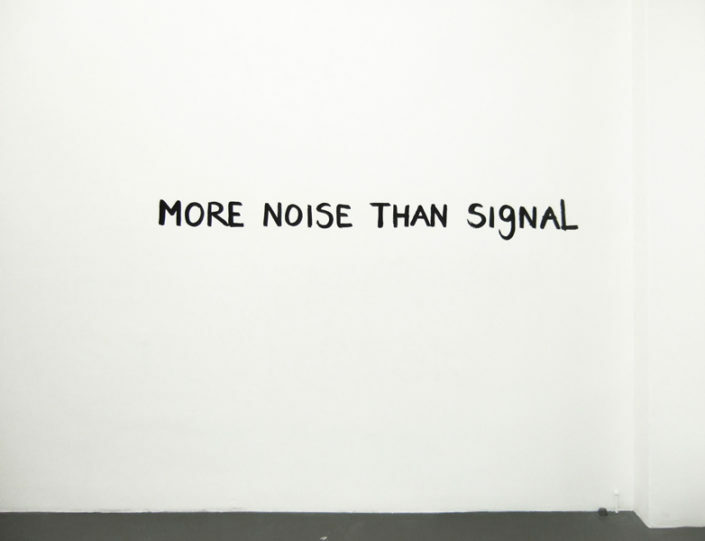 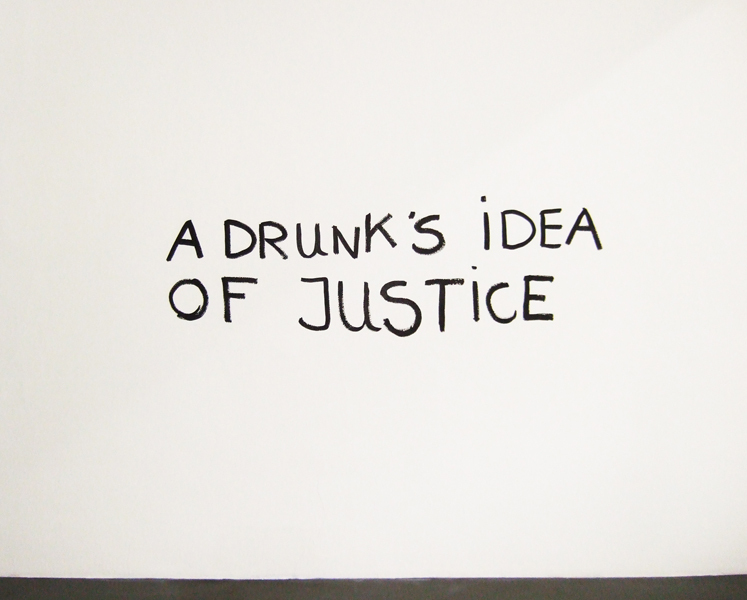 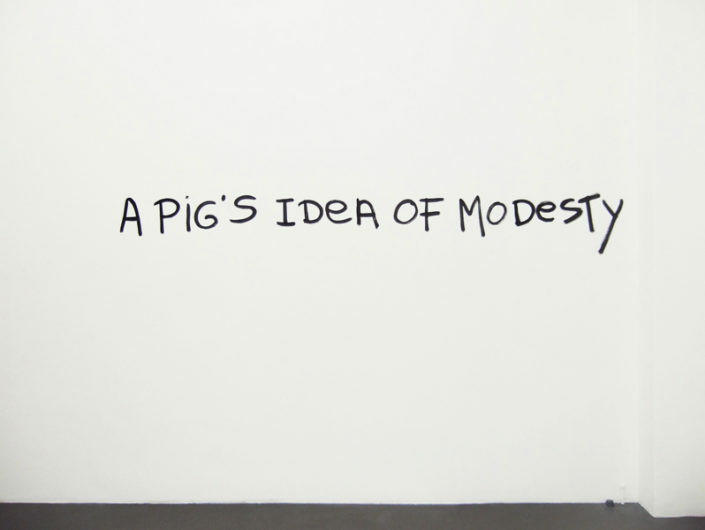 The work – new statements and the accumulating traces of previous ones layered in a single designated area on the gallery wall – emphasizes the provisional nature of the ideas it proposes in language, drawing viewers into a direct relation with its slogans and messages, in equal measure blank, disconcerting, comical and playfully confrontational.